This is it. 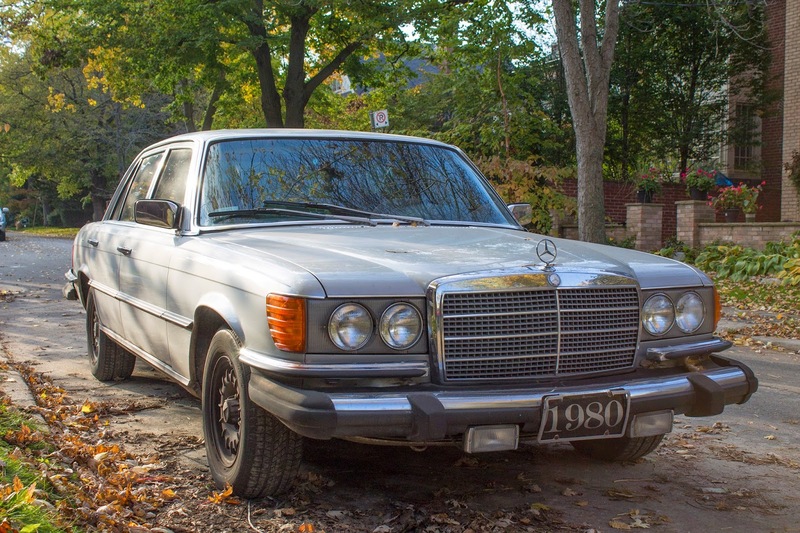 This was the most expensive Mercedes you could buy in 1980. ABS, automatic climate control, sodium filled valves, self-leveling hydro-pneumatic suspension and a dry sump engine were all standard features on this car. In 1980. Impressed yet? It gets better. 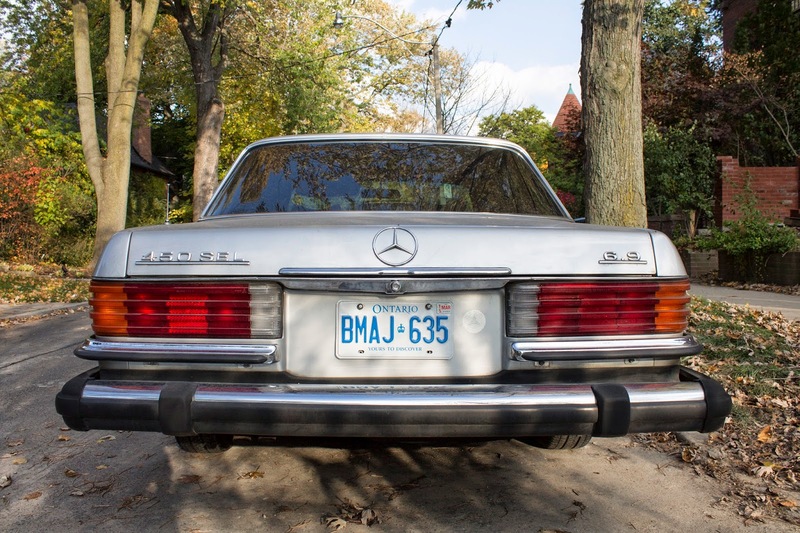 This grungy 1980 Mercedes Benz 450 SEL 6.9 cost some $52,000 when it was new. The most expensive Cadillac you could buy that year was around $16,000. 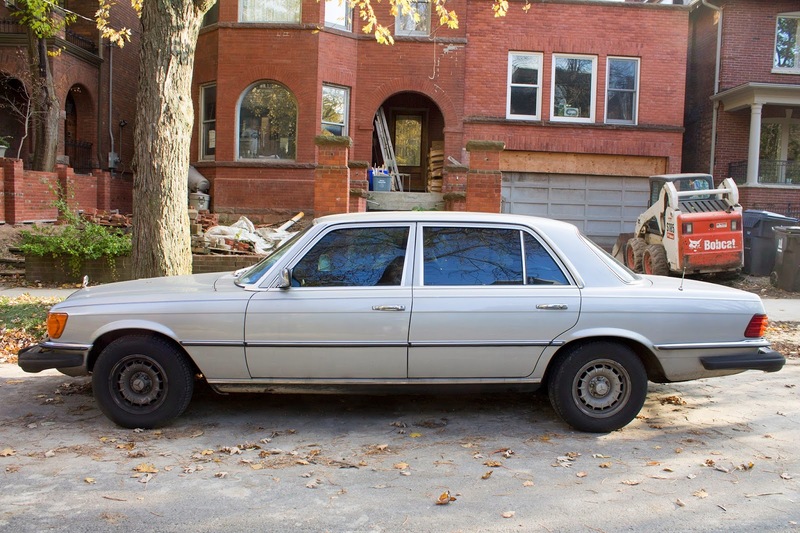 This was a car for people who lived in a manor, not a mansion. That $52k bought you 4,200 pounds of luxury car powered by a whopping 6.9 litres of V8. Mercedes' SOHC mill produced 250 horsepower and 360 lb/ft of torque. Yeah your mom's 328i makes more than that but in 1980 A Corvette made just 230 horsepower and had nowhere near that amount of torque. This gave the 6.9 impressive acceleration and a top speed of over 140 mph. 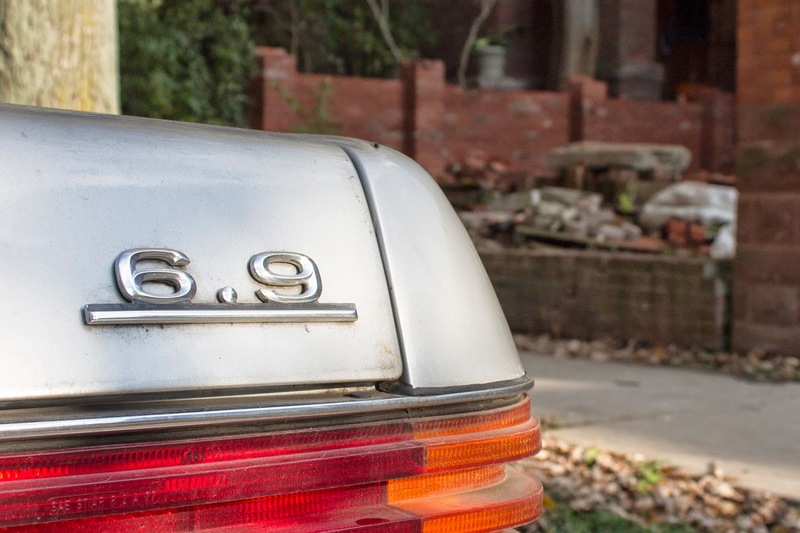 Much like the Rolls Royce Silver Shadow, the mighty 6.9 became a symbol of 'old money.' 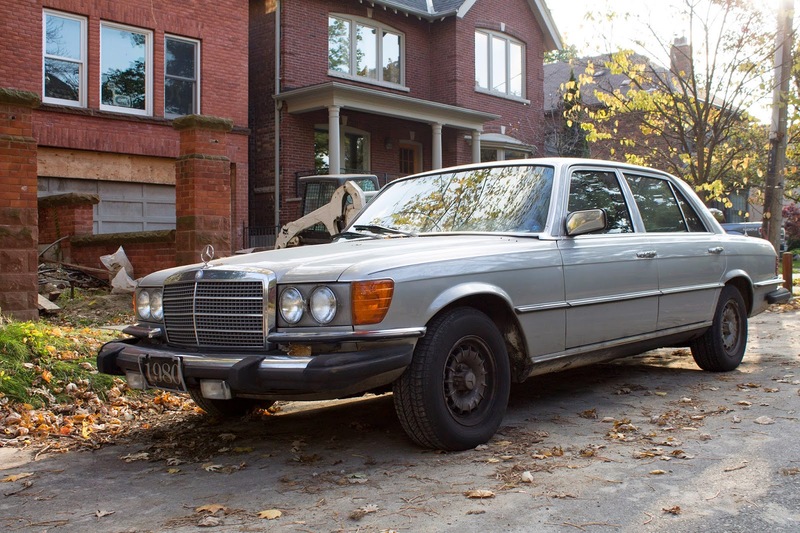 Like every other German luxury car, the 6.9 depreciated ferociously and you can now find dilapidated ones for a couple thousand all over Kijiji. But running, driving 6.9's are very rare and will set you back an easy 10 grand. 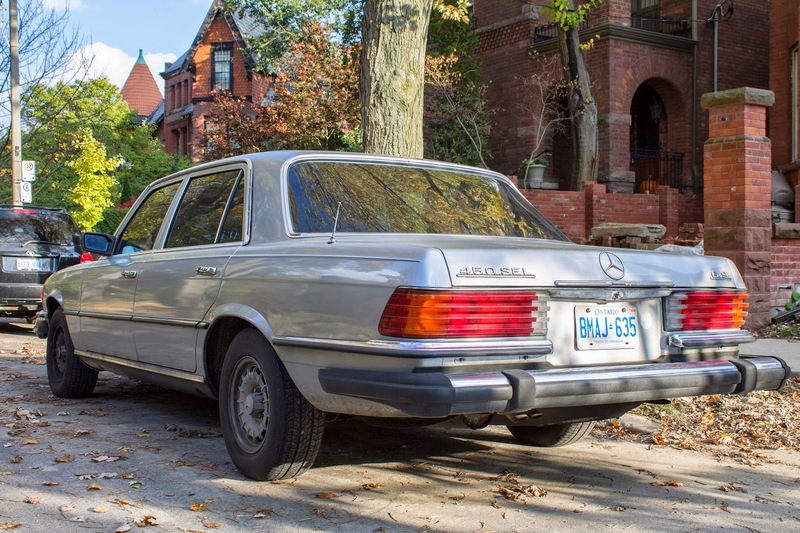 The 450 SEL 6.9 was a turning point for the luxury car. It proved that luxury cars could be athletic and customers began to demand more for their money in the segment. It might look old fashioned with its upright grill and chrome bumpers, but the 6.9 was the future. Jaguar models are expensive because they have lots of extras. For one thing, driving these cars is a lot more comfortable than driving anything else. The cabin is very comfortable and it is a quiet ride all the time. Wonderful article,long term car rental thanks for putting this together! This is obviously one great post. Thanks for the valuable information and insights you have so provided here. Luxury cars are not made for our daily use. They are the cars which were manufactured for specific people and to be used for specific reasons. Rolls Royce Exporter will help you, If you are looking for a quick and easy way to buy your favorite cars. Well here are a few steps to get you started. Just because you can't afford a new car doesn't mean you have to settle for second best when purchasing a used car. Even if you are a first time buyer, then follow self import car to Singapore these important tips will be helpful towards getting the car you really want. Great artcile, yet it would be better if in future you can share more about this subject. Continue posting Cheap Part Time Motor Trade Insurance. What ever be the purpose behind voyaging, an airplane terminal drop in or drop out, weddings, parties, games, evenings out, lone wolf/lone wolfess parties, going in a limo includes class and confidence. The Best Limo Service in Indy!